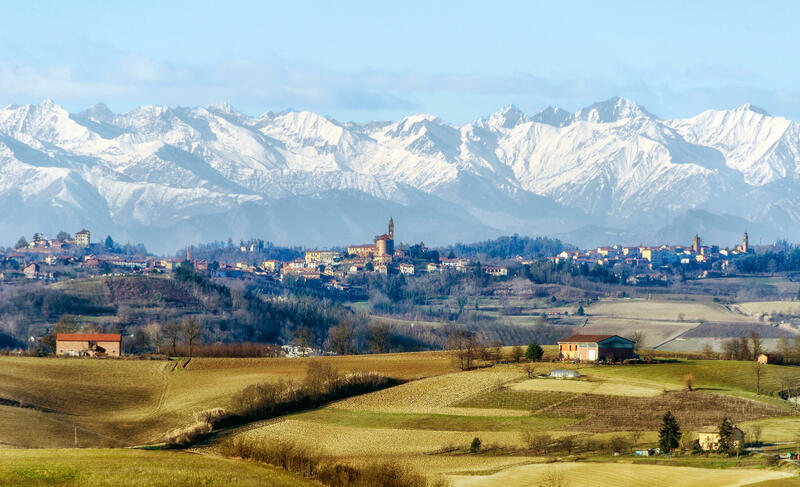 Famous for being the home of Barolo, Barbaresco, Barbera and Moscato d'Asti, there are many other wines from Italy's Piedmont that shouldnt be overlooked. Piedmont. Or Piemonte. Whichever way you say it: hard two-syllable, American-style or lilting with three syllables like an Italian, the word carries mystical qualities. 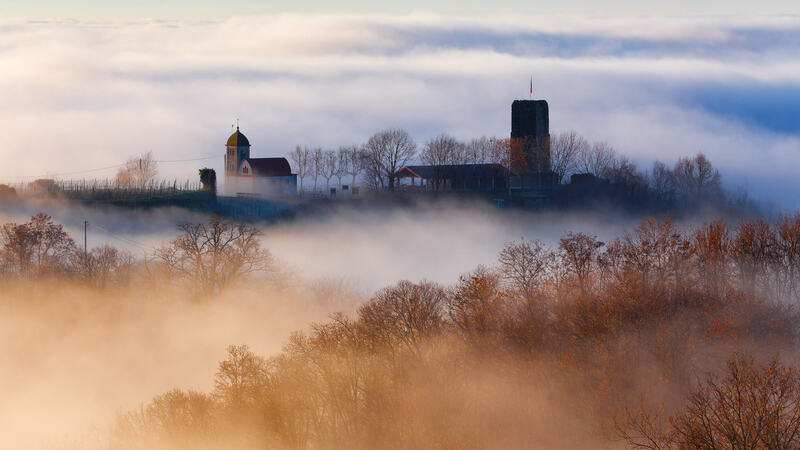 It conjures visions of fog-shrouded hills, white truffle-sniffing dogs and noble wines. Most wine lovers associate Piedmont with the famous reds of Barolo, but as anyone who has visited the region knows, it’s large, complex and full of surprises. A thousand books could be written on Piedmont. Located in northwest Italy, Piedmont sits at the foot of the western Alps. This unique geographical spot lends two key features that influence the region’s climate: the cool Alps and the balmy Mediterranean. These forces contribute wide day-night temperature variation, known as diurnal range. And cold nights, foggy mornings and sunlit days make for good wine. True wine lovers appreciate the interplay between power and beauty that defines Nebbiolo-based wines. It’s often considered an alternative to great Burgundy, whose prices soar out of reach for most consumers. Nebbiolo can be compared to Pinot Noir for its transparency or ability to convey a sense of place. Due to growth in demand for Italian Nebbiolo, producers around the world have tried to replicate the wines, to little success. Barolo and Barbaresco, the two most well-known regions that produce the variety, offer singular expressions of site and climate that are virtually impossible to duplicate. Unlike Cabernet Sauvignon, a grape capable of interesting results in a variety of places, nobody has cracked the code of creating thrilling Nebbiolo outside of Italy. What makes great Nebbiolo such a haunting experience? The wine has high acidity, a pale garnet color, intense grippy tannins, flavors of cherry, rose and tar, as well as a moderately high alcohol content of 13–15%. These wines, especially with a decade of aging to soften tannins and integrate acidity, inspire flocks of devotees. Barolo has long been called the “King of Wine.” Such is the reputation of Barolo and its hills, a region which has earned UNESCO World Heritage status, along with Barbaresco. Located just south of Alba, the appellation comprises 11 villages: Barolo, Castiglione Falletto, Serralunga d’Alba, Cherasco, Diano d’Alba, Grinzane Cavour, La Morra, Monforte d’Alba, Novello, Roddi and Verduno. Of those 11, the most recognized for quality are La Morra, Serralunga d’Alba, Monforte d’Alba, Barolo and Castiglione Falleto, though many sommeliers are fond of the finesse of Verduno. The soil, and the resulting structure of the wine, differs in these villages. In La Morra and Barolo, compact limestone-heavy Tortonian marl, often called blue-gray marl, offers wines of delicacy, perfume and fruit. In Castiglione Falletto, Monforte d’Alba and Serralunga d’Alba, the vineyards sit on looser sandstone and limestone Helvetian soils, often called white-yellow marl, which result in a fuller body with more concentration and structure. Of course, these generalizations exclude producer style. The appellation has earned Denominazione di Origine Controllata e Garantita (DOCG) status, and regulations dictate that Barolo must age a minimum of three years before release, and five years for Riserva. To further ensure quality, only vineyards on southern-facing hills fall within its purview, though with climate change and creeping alcohol, this could change. Barbaresco is located northeast of Alba near the Tanaro River, and it also carries DOCG status for wine made from the best south-facing vineyards of Nebbiolo. Barbaresco has four villages: Barbaresco, Neive, San Rocco Seno d’Elvio and Treiso. Though there are many exceptional producers of Barbaresco, Angelo Gaja, Bruno Giacosa and Produttori del Barbaresco, a quality-minded co-op founded in 1958, helped elevate the wine’s reputation. Barbaresco has long endured comparison to Barolo. It’s been often considered, erroneously, to be a lesser wine because it lacks the sheer austerity, tannic structure and ageability of Barolo. How did this distinction arise? A difference in soils and climate. Barbaresco grows primarily on a limestone base, which lowers tannins and highlights fruit similar to Barolo grown on blue-gray marl. Proximity to the river and lower elevations contribute to earlier ripening of grapes, a benefit in hotter years. Thinner skins translate into less tannin balanced against more fruit. Thus, Barbaresco tastes lighter than many Barolos. Ask a winemaker what they drink, and they’ll likely answer Barbaresco for its accessibility. Why wait 20 years to enjoy a wine? And if not Barbaresco, they’ll likely drink Barbera. Barbera is Piedmont’s most widely planted grape. Barbera d’Asti DOCG and Barbera d’Alba Denominazione di Origine Controllata (DOC) are the most well-known appellations in Piedmont. Today, Barbera grows around Italy and the world. Barbera is a dark-skinned grape that produces ruby-hued wines with bright cherry flavors and tannins distinctly softer and rounder than Nebbiolo. Thanks to its high acidity, Barbera thrives in warmer climates yet doesn’t produce flabby, flat wines. Hence its appeal to New World growers in California and Australia. But Piedmont remains its spiritual home. Barbera d’Alba DOC covers the Alba viticultural area, from the town of Alba and nearby Langhe hills, with overlap in Barolo and Barbaresco. Alba’s well-known, undulating landscape is laid across chalky, limestone-rich clay soils. The best Barbera d’Alba wines come from hillside sites near Barolo. Barbera d’Asti DOCG covers some of the most famous wines in Piedmont. The appellation was upgraded to a DOCG in 2008. The hills around Asti and Alessandria provinces provide fertile planting ground for Barbera. The wines must be 85% Barbera, with the remainder comprised of Freisa, Grignolino and Dolcetto. The Superiore designation requires 14 months of aging, with at least six months in barrel. 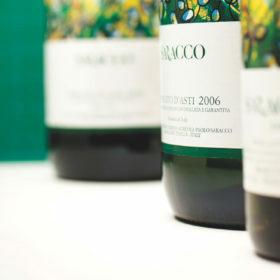 D’Asti has the best potential for aging, as it often matures favorably for 6–10 years in the cellar. Dolcetto, which translates to “little sweet one,” is Piedmont’s third internationally significant red variety. Typically found in the provinces of Cuneo and Alessandria, its appealing fruitiness, moderate-to-low acidity, deep color and affordable price point make it a consumer favorite. It’s also a favorite of producers that look to derive the most value from their property. Dolcetto ripens nearly a month before Nebbiolo, and it also can be planted on sites with less favorable sun exposure or higher elevations. Generally made to be enjoyed in its youth, it provides a foil for producers to longer-aging wines like Barbera and Nebbiolo. Usually bottled as a single-varietal wine, Dolcetto’s soft, fruity style doesn’t lend itself to long-term aging. However, great producers, especially from Dolcetto d’Alba DOC, Dogliani DOCG and Dolcetto d’Ovada DOC, can last half a decade or more. These three appellations of the seven Dolcetto-focused regions also account for the greatest quantity of production. 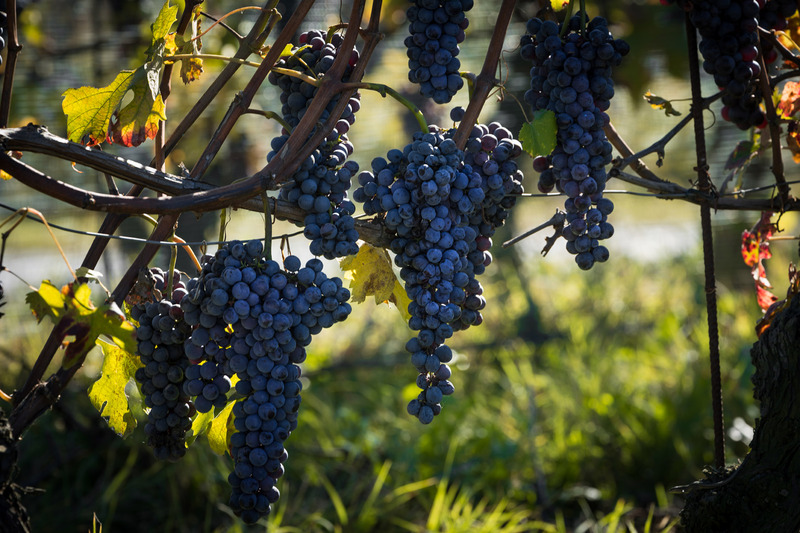 Dolcetto d’Alba DOC is often regaled as the source of the grape’s finest wines. It’s only produced in the provinces of Asti and Cuneo, and has traditionally been the most consumed table wine of locals in Langhe. The region delivers a range of styles from soft to structured. It’s typically dry, ruby-red in color with juicy cherry and almond notes. It boasts low-to-moderate acidity, as well as moderate alcohol (12% abv) and tannin levels. Dolcetto d’Alba typically shows more floral aromatics like violets and lavender than its counterparts, and it’s not as robust as Dogliani Dolcetto. Dolcetto d’Alba Superiore requires a minimum of 12 months aging. Dolcettos from Dogliani DOCG lean toward a fuller-bodied, perfumed expression. The appellation was promoted in 2005 from DOC to DOCG for its Superiore wines, in recognition of its dedication to quality Dolcetto. Superiore wines mature for 12 months before release. And Dolcetto diOvada DOC or Superiore DOCG, long known in Italy for its fine wines, has been relatively obscure outside its borders. If you find one, try it. For most consumers, Piedmont equals red wine. But bubbles and several delicious whites should not be overlooked. Well-known to American drinkers: the affable Moscatos. Moscato d’Asti DOCG and Asti Spumante, now called Asti with its elevation to DOCG status, are made with Moscato Bianco grapes grown around Asti. Moscato d’Asti tends to be sweeter, fruitier more gently sparkling and of higher quality. It’s typical for producers of Barolo to make Moscato on the side. The top white grapes of the region are Cortese and Arneis. The former grows in the appellation of Cortese di Gavi DOCG, while the latter at its best in Roero DOCG. Known colloquially as Gavi, Cortese di Gavi has long been considered the more prestigious of the two. It’s generally enjoyed young to take advantage of its crisp acidity and white peach, almond and floral qualities on a bone-dry palate. The region, in the province of Alessandria, is close to the Ligurian border and the Mediterranean Sea. Some believe that the relative proximity to coastal culture influences the youthful, fresh style of the wines. However, the world is waking up to Arneis. Located in Roero, north of the Tanaro River and Barolo, the wine brims with minerality layered between flavors of white flowers, peach, apple and green hazelnut. The vineyards are planted on sandy soils from an ancient seabed. Two more obscure whites with character are floral, lemony Erbaluce and spicy, saline Nascetta. Before Barolo or Barbaresco, there were Ghemme, Gattinara, Lessona and Bramaterra. Located northeast of Turin, these sub-Alpine regions produce Nebbiolo-based wines that were once popular both at home and abroad. Enjoyed by the nobility and Milanese denizens alike during the 19th century, the wines were sought across the Austro-Hungarian Empire. However, a variety of factors led to the collapse of the industry. Producers are now trying to replant and reignite a renaissance in the region. There are five appellations of northern Piedmont where wines are produced at enough scale to be accessible to most Americans. Gattinara DOCG, Ghemme DOCG, Lessona DOC, Bramaterra DOC, and Boca DOC. Typically, these wines are made from a blend of Nebbiolo, locally called Spanna, and other native grapes like Vespolina, Croatina and Uva Rara. Quality in the region is high and generally presents a great value for Nebbiolo lovers. The region is also a treasure trove of indigenous varieties. Ruché, mostly grown around Castagnole Monferrato in the appellation of Ruchè di Castagnole Monferrato DOCG, is best bottled in its youth without oak. This pale, ruby-hued wine brims with fascinating aromas of ripe strawberries and cherries, flowers, cinnamon and white pepper. Grignolino, common around Piedmont, is elusive beyond Italy, though it’s a darling of American sommeliers. The grape has two DOCs: Grignolino d’Asti and Grignolino del Monferrato Casalese. Grignolino typically has high tannins and acidity, pale color and fabulous aromas of violets, roses and red berries. Freisa, grown around Monferrato, has two DOCs: Freisa d’Asti and Freisa di Chieri. This floral, fruity and vivid red is a captivating wine. As a relative to Nebbiolo, it’s one of the oldest varieties in Piedmont and capable of a range of styles.